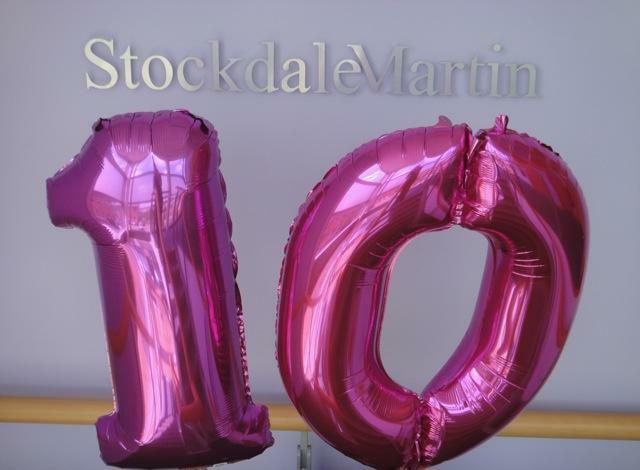 Yesterday we celebrated 10 years of StockdaleMartin, woohoo! The team came into the office early to help set-up our surprise decorations for Ed and Tracy, leaving the office unrecognisable covered in balloons and Happy 10th Birthday banners (you would think we have a 10 year old working here)! 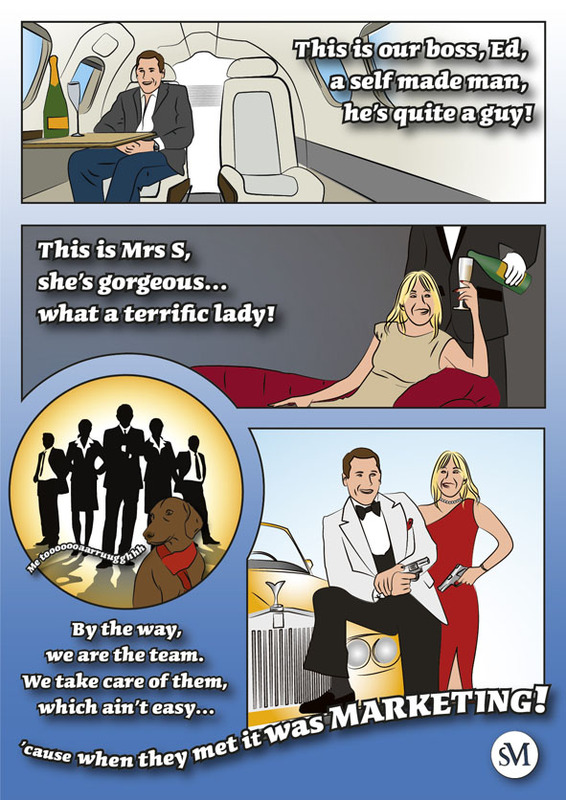 We sat round for a team meeting and gave both Ed and Tracy presents and a card, designed by Andre – he should make cards more often, it’s fantastic. At 10.30, the part of the day we’d all been waiting for arrived, the CAKE! It was a delicious, homemade, white chocolate and raspberry sponge by Claire. Our team here is very talented you see, making cards, cakes and all sorts. Later in the afternoon the celebrations continued as we popped open a bottle of bubbly and had a special visitor, Clive, to provide us with some entertaining stories. So on behalf of the whole team, congratulations Ed and Tracy on achieving 10 years of SM, it’s a pleasure to work here and we can’t wait for the next 10!